Be the first to share your favorite memory, photo or story of Felix. This memorial page is dedicated for family, friends and future generations to celebrate the life of their loved one. Felix Cruz Rojas, age 85 of Villa Rica, passed away on Sunday, April 7, 2019. He was born on April 4, 1934 in Trujillo, Puerto Rico. Mr. Rojas worked in Administration for the Puerto Rico School System before retirement. He was Pentecostal by faith. Felix was preceded in death by his parents, Bernardo Cruz Ocasio and Marcelina Rojas Sanchez. 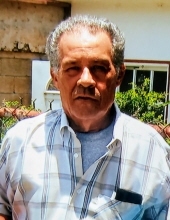 He is survived by his wife, Carmen Velazquez Vazquez; children, Luz Merari Sanchez, Benjamin Cruz, Rebecca Garita, Diana I Rosado, Rosa Yvette Medina, and Velvette Medina; 22 grandchildren; 10 great-grandchildren; and sister, Maria Antonia Cruz Rojas. The family will receive friends on Sunday, April 14, from 1:00 PM until 3:00 PM. The funeral service will follow at 3:00 PM in the Chapel of the funeral home. Per his family’s wishes, he will be cremated following the service. To send flowers or a remembrance gift to the family of Felix Cruz Rojas, please visit our Tribute Store. "Email Address" would like to share the life celebration of Felix Cruz Rojas. Click on the "link" to go to share a favorite memory or leave a condolence message for the family.